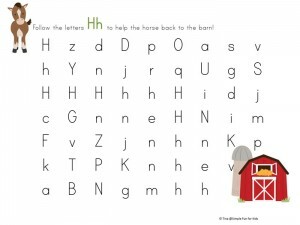 Because E loved the Letter H Maze and the Farm Animal Patterns Printables so much, I was motivated to make more letter mazes. 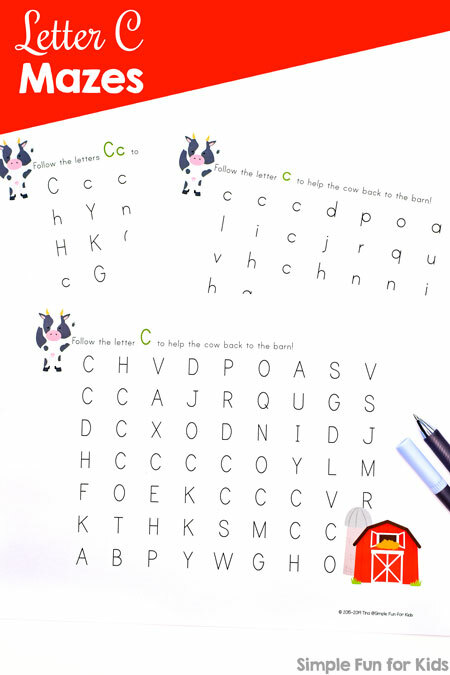 Here’s the next set: Free Letter C Maze Printable! 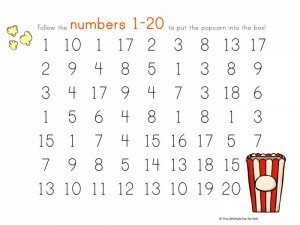 Up to three sheets of paper. 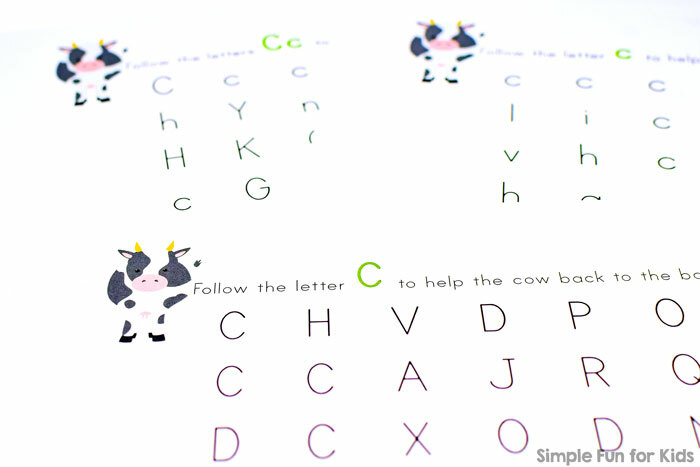 The file is structured like the others in the A-Z Letter Mazes series: One uppercase maze, one lowercase maze, and one mixed case maze that separates a cow and her barn. 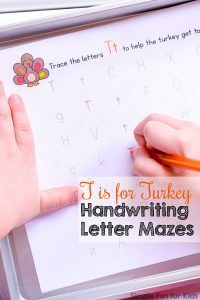 Do you have a child who’s learning letters? Do you think he or she might like to help the cow get back to the barn? 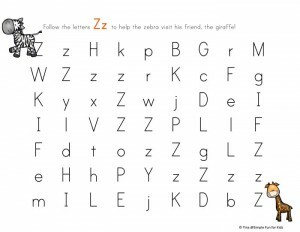 Download your free Letter C Mazes! all use the same set. 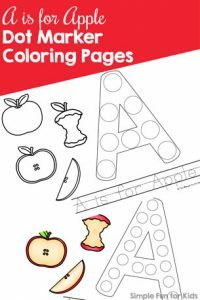 Are you looking for more no prep printables? Here are a few others! This is wonderful! 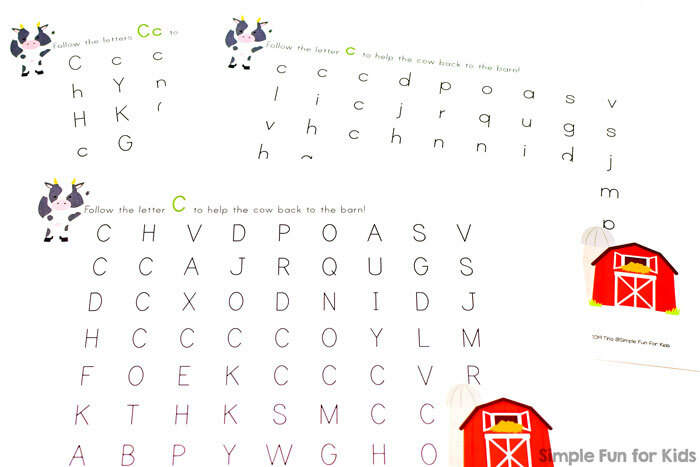 My daughter would benefit from p, q, d, and b puzzles as well and an alphabet (in order) puzzle. While singing the song, she doesn’t say s but x and finishes the song from that point, skipping five letters. This would be fun for her. Thank you for the inspiration! Thank you, Carrie! 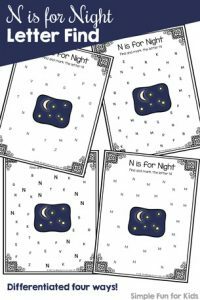 I still have other letters planned – why don’t you sign up to the newsletter to be notified whenever I publish new posts? The sign-up is here.